A few days ago a bombshell exploded in the sporting world. On Wednesday, Dec. 3, 2014, German broadcaster ARD aired a segment called “Top-secret Doping Dossier: How Russia produces it’s Winners”. It included a tremendous amount of evidence and on-camera testimony from Russian officials, coaches and athletes on massive and systemic doping, coverups and corruption that instantly reminds one of East Germany’s state sponsored doping program called State Plan 14.25. The nature of the ARD broadcasted evidence certainly indicates a comprehensive and systemic program of doping and coverups, with 6 sports named (track and field, swimming, cycling, biathlon, weightlifting, cross country skiing). in a frightening echo of East Germany, the state pushes drugs on its athletes, saying it is the only way to success. One currently suspended world class runner said this to the camera, “That is hammered into the coaches and the coaches hammer it into the athletes. The athletes, therefore, do not think when they are taking banned drugs that they are doing something wrong”. on-camera voluntary confessions of doping by elite athletes, plus a startling undercover video of drug use by an Olympic champion runner. It’s worth noting that the Russian sports federations, the Russian Anti-Doping Agency and the national doping test laboratory are all funded and overseen by the Russian government. While the amount of evidence and the extent of the scandal is stunning, we really shouldn’t be all that surprised. After all, it was only this past summer that the Russian swimming federation was put on notice that Russian swimming and a few other sports were at risk of receiving a national suspension for doping violations. I wrote about Swimming’s Growing Problem (here), and showed how France, Brazil and Russia were the top 3 countries in terms of FINA doping suspensions since 2001. Russia is clearly in the top echelon of doping countries, at least for swimming. This all sounds very persuasive, but there is a problem. 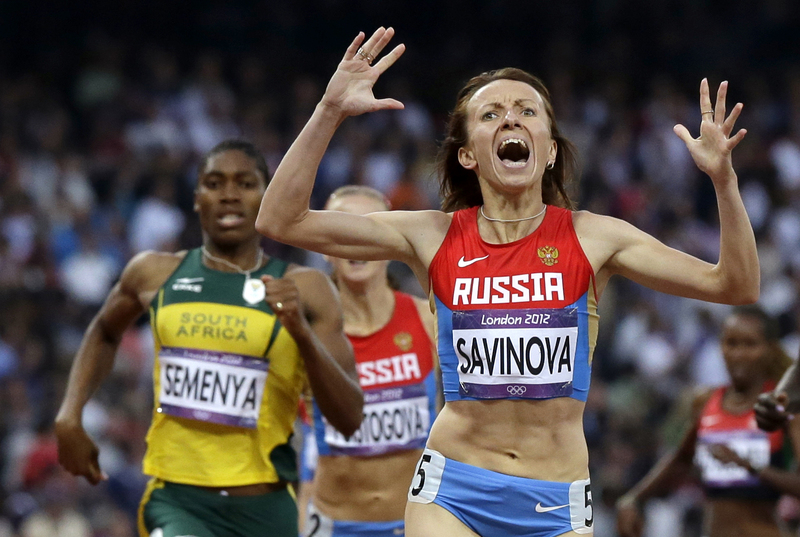 if the Russians have a huge state-sponsored doping program, we’d expect the world to notice. When East Germany embarked on their State Plan 14.25 it only took a few years for their athletes to start dominating, and they continued to dominate for over 20 years. The world took notice. At the present, the Russians merely appear to be merely treading water, with results that are keeping them at the status quo. Here’s a chart of World Championship and Olympic medals in swimming since 2000. And here are similar charts for the other sports implicated in the ARD broadcast. From these we can see that, other than a slight uptick in swimming and cycling, there really isn’t a huge impact on the sporting world. There could be a few reasons for this. And most likely in my opinion, is that many other countries are doping as well. Doping cases have been increasing around the world, and at the same time, suspensions are getting shorter and shorter. With cheaters able to return to the sport shortly after getting caught, competitions may be getting a little crowded with performance enhancing dopers. If the Russians really are systemically doping at a state level, then the saddest thing to me are the unavoidable and horrible health effects for these athletes 20 years or more down the road. In August I wrote “The Sad Legacy of East German Doping” (here), about the adverse health effects on East German athletes and their subsequent offspring. It’s a truly devastating and long lasting price to pay for a chance at a moment or two of athletic glory.